Homewood is on the west shore of Lake Tahoe. 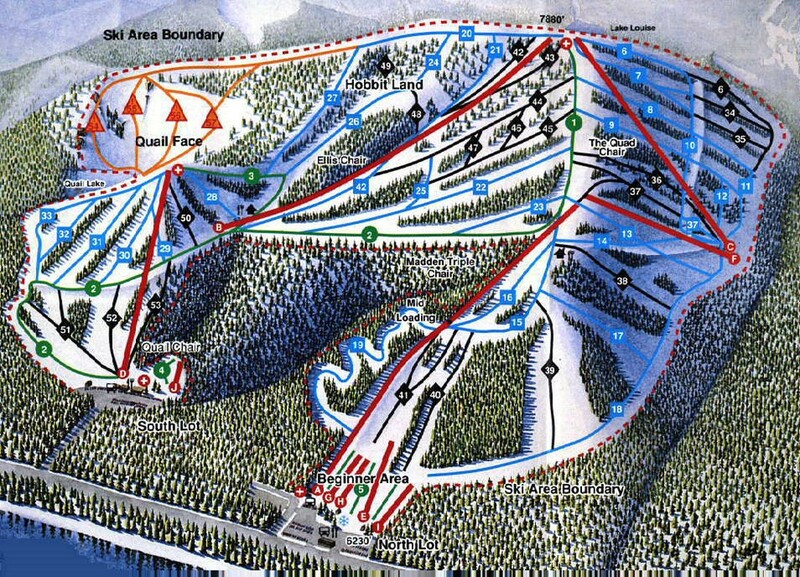 This is the only resort in Tahoe where the runs end up close to the lakeshore at 6,230 ft.
Homewood is a very unique place with some compelling qualities that make it rank higher that it would normally rank on paper. The main extraordinary quality is the stunning view of Lake Tahoe from many of the runs. It’s hard to take your eyes off the lake as you make your way down the ridge. The other one is that the low elevation is great on a storm day to stay out of the wind. On days when Heavenly is shut down due to wind, Homewood will probably be 100% open. We started skiing there with the kids in 2001 because of the 2 for 1 lift ticket deals and discounts for kids that they offer. The drive is a bit farther from the Bay Area though, because it is about mid-way up the lake on the west shore, so it’s a long-ish drive once you get off I-80 in Truckee, and you have to drive past Squaw and Alpine to get there. Later, we skied there with my parents who really liked it. The area has some nice groomers and black runs, but the runs are fairly short because the area is set up on a ridge and the lifts are shorter affairs falling off of that on either side. There are two triple chairs that access the summit that are the most popular. Both provide access to the best terrain at the top of the mountain. There are 2 other major lifts that access the two distinct base areas (these used to be 2 different ski areas), but that terrain is not as usable due to snow conditions and terrain shape. The views of the lake cannot be beat. The lift ticket prices are some of the cheapest in California. It is protected from the wind on a storm day. This is the lowest summit elevation of any California resort on our list, at only 7,880 feet. This is a big problem that is only becoming bigger with global warming, because in the past few years they have really been struggling to open and stay open due to lack of snow at the base. We skied there one (short) day in January where it was pouring rain all the way to the summit. The lifts and lodges are all old. There are no high-speed lifts. Homewood is a fun / mellow / uncrowded / inexpensive place with great views that is worth doing when the snow is good and it’s cold. The low elevation is a blessing on a storm day and a curse when it’s raining, so pick your days carefully and when the conditions are good it’s a fun place for a day of chill skiing.